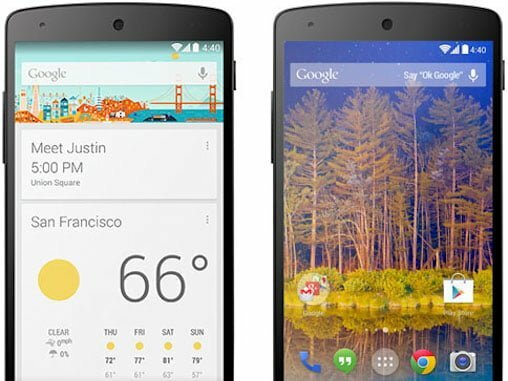 Google Now Launcher (also referred to as Google Experience Launcher) which was earlier compatible only with Nexus devices, is now available for all devices running on Android 4.1 and above. One of the most important features of Google Now, which can be accessed by swiping from left to right on the device’s screen. It is a virtual personal assistant that can be trained to follow the voice command such as making a call, sending a text or launching a particular application. Additionally, Google Now provides relevant information based on your personal needs via a simple card UI. For example, it notifies you that you are 30 minutes away from home. It informs you that it is going to rain today. You can dismiss those cards by swiping from right to left. Furthermore, Google Now launcher provides you faster google search experience in addition to easy access to Google products such as Gmail, Maps and YouTube. Most importantly, it is much faster when compared to custom app launchers from OEMs such as Samsung and LG.